"An interesting thing happens when you reclaim your weekend: you reclaim your childlike abandon and sense of possibility." 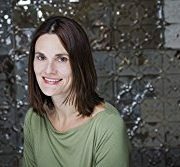 Katrina Onstad, a notable journalist and author, is looking to help us recapture the lost concept of rest and relaxation in her newly published book, The Weekend Effect: The Life-Changing Benefits of Taking Time Off and Challenging the Cult of Overwork. We live in an era where the workforce, technology and the modern notion of success has driven many to work longer and harder, but without a greater sense of satisfaction. Onstad begins with a comprehensive exploration of the history of the weekend and how it came to manifest itself, to what we know and struggle to preserve today. The author takes the reader through many examples and opinions of why a weekend matters to us as a society and how losing ourselves in the new ‘master’ work fundamentally changes who we are as social beings. In the second half of the book, she explores the different aspects of how one can recapture the weekend, maximize the use of the week, and alter our surroundings to achieve the leisure which we seem to find elusive. This summary will explore the critical importance of rest and relaxation beyond just sleep in order to really recharge your batteries and regain your sense of self. "The economist C. Northcote Parkinson is credited with ‘Parkinson’s law of efficiency,’ which holds that ‘work expands so as to fill the time available for its completion.’"
Onstad drives home the point that we are more in control of our lives than we are programmed to believe. Weekends quickly get filled up with commitments and chores which make the time feel more like work than the weekdays. Onstad provides research that proves that taking real breaks does make us more productive. Why? It forces us to compartmentalize without stressing. She cites many wonderful examples and mindset alternatives. For instance, consider telling yourself what your kid would want to hear. Ditch the ‘homework’ and go have fun. The Ancient Greeks placed great importance on leisure time. Lastly, reconnect with someone, one on one, and enjoy the moment without trying to multitask. A 2013 survey indicated that 81 percent of Americans get the Sunday night blues. This is just another reminder that we are nearing a breaking point when it comes to a work-life balance, and the problem is just too prevalent to ignore. Time passed without a sense of leisure or personal accomplishment is never regained, and that is our on-going regret. "By deferring our free time, we’re deferring our relationships. Lose the weekend, and you lose the time to deepen your relationship to anything but your work." One of my favorite of Onstad’s recommendations is the concept of volunteering as a means to recuperate and regenerate. While it may seem more restorative to simply rest, there are mental and physical benefits to giving back. Many of us donate to causes that are close to our heart, and while we may feel good about simply contributing monetarily, without also giving of our time we fail to connect to the cause in a more meaningful way. The author also emphasizes the loss of building relationships. Reconnecting with relatives, friends you haven’t spoken to in ages, your tribes, and people in need—often by merely putting down the phone and stepping away from the TV—is hugely important. The irony here is that our increase in productivity by engaging digitally is robbing us of our sense of mental, spiritual and physical fulfillment. "The effects of a weekend that incorporates the beautiful will linger through the week, shadows of the things you saw, the things you made. Beauty stays; it’s the best kind of Monday hangover." The saying goes that “beauty is in the eye of the beholder” and in this context nothing is closer to the truth. Do you remember as a child how even simply watching the clouds whisk by or staring at the stars captured your imagination? When we think of exploring beauty, many of us immediately think of staring at art or sculptures in a museum, however Onstad prefers us to consider recharging our batteries through creation of our own art, building something, or gardening. Creation is exploration of our sense of self and feeling. Aside from artistry, and fun awkward pottery creations, the call to nature is another significant opportunity to reclaim yourself. Attending a Burning Man event is certainly a more extreme way of unplugging, but finding something close to home might be just the thing. While unable to quantify or directly make a connection, poets and scientists know that nature has an important impact on our well-being. Creating time on the weekend to seek beauty provides a positive and lasting effect into the work week. As Onstad points out, in this day in age protecting the forty hour (eight hour per day) week is a “superhero” feat. What’s important is to conscious of it, because you’ll never be able to regain that lost time. With solid research proving that there’s an increase in stress with less incremental satisfaction the more we work, her hope is that this becomes addressed as a public health issue. Many of us would definitely agree. It’s time to reclaim the weekend and our reason for living. What does your weekend look like now?